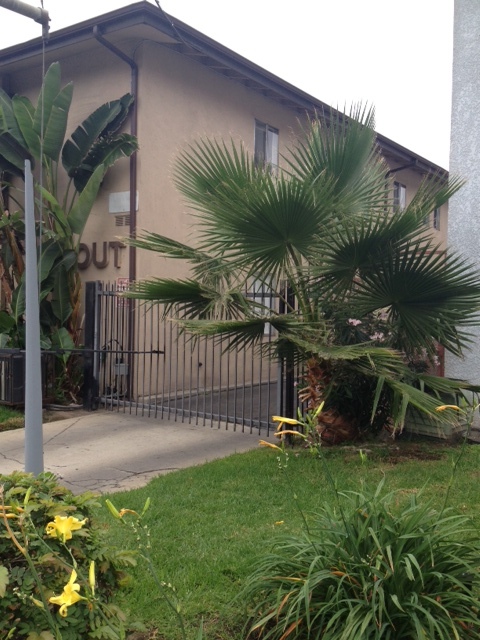 I recently went to Los Angeles to visit dear friends of mine and to get into warm weather. I picked the perfect week. 89 degrees and cloudless skies. It was exactly the medicine I needed. I made no plans. I told my people that I wanted as much ocean time as I could as well as some biking, reading, and hiking, and that’s what I got. It was great. While I loved visitng my friends and having the access of going to the ocean one day and then heading into the mountains the next, it was really eye-opening as a woman, hyper-sensitive to her built environment. First and foremost, speed limits are a mere ‘suggestion’ there. The design of city streets utterly contradict the intended speed. 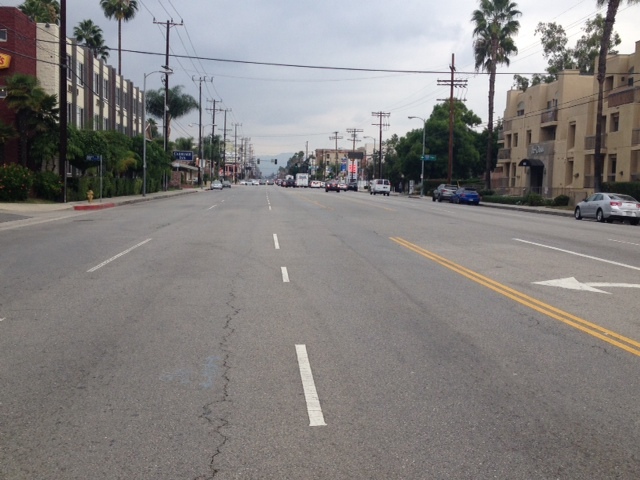 Many streets are 8-9 lanes wide like my beloved Sepulveda Blvd. Don’t ask me why I like that street, I just like the way it sounds. Except for a couple streets downtown, I don’t think I saw any pedestrian refuges in the middle of these wide streets. I was almost hit three times due to drivers wanting to get through that left turn as quickly as possible. Some neighborhoods like Silver Lake, Santa Monica, and Los Feliz are better. 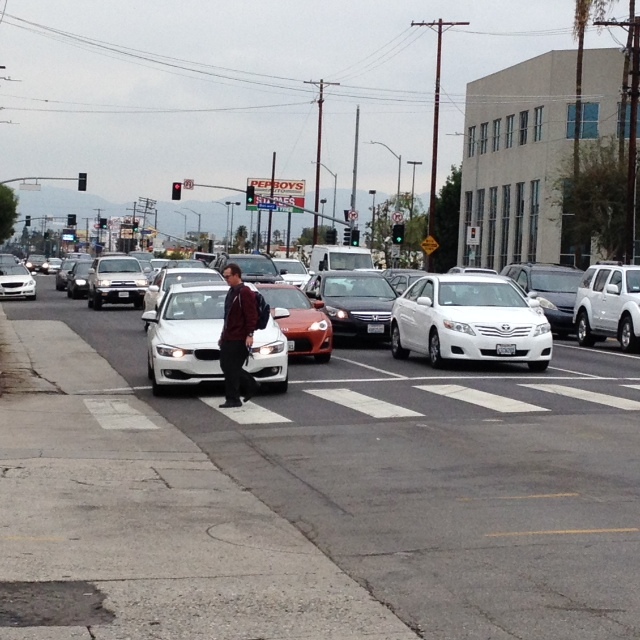 Culver City, you’re cute as hell but damn, even there, drivers park their Audi’s in the crosswalks! If you’re a person NOT in a motor vehicle, you’re the foreigner. I remember leaving Will Rogers beach and waiting to cross the PCH at the signal and waited for the ‘Walk’ to light for almost 6 mins! 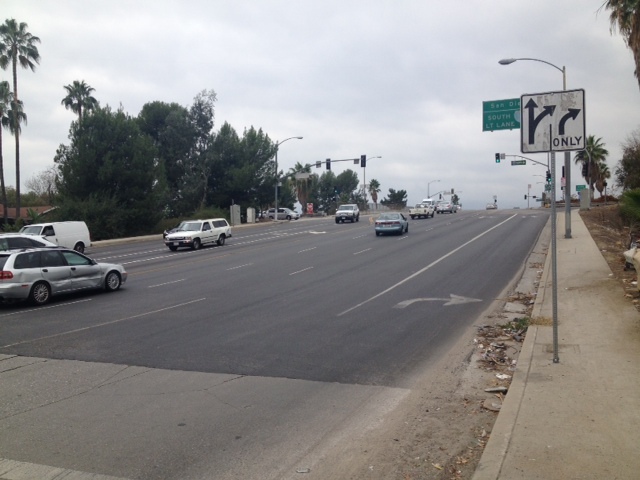 One infrastructure piece I did love were all their ‘continental crosswalks’ at so many signalized intersections. 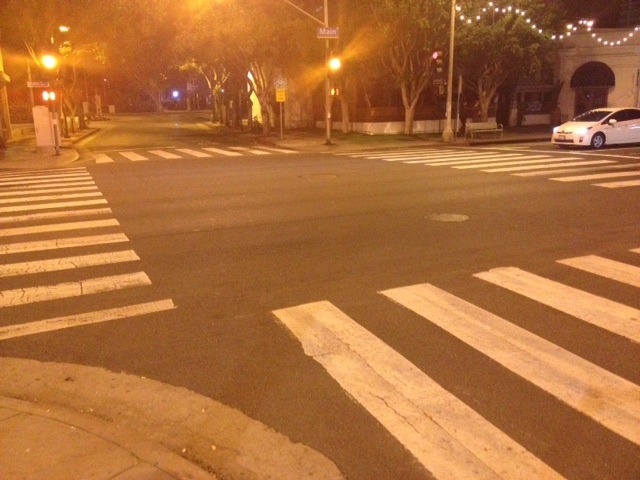 These crosswalks are bigger, wider, and provide more visibility to enhance pedestrian safety (photo will be below). This is part of a larger effort of L.A. 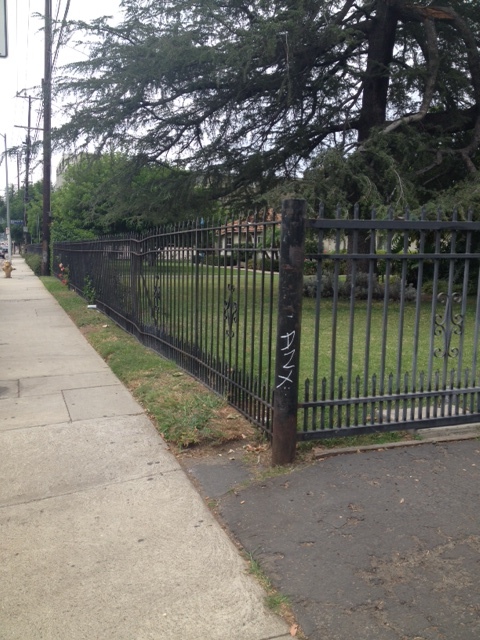 Walks and the work of LADOT’s Valerie Watson. I met Val at the Open Streets National Summit last April and fell in love with this initiative as I feel in my city of Columbus, pedestrian safety is not being talked about enough. The ‘level of stress’ I experienced as a passenger riding in Los Angeles remained at about a 7 out of 10. I think however, that attributes to a few things: 1. I have very bad motion sickness; 2. You’re ALWAYS IN TRAFFIC; 3. Where ever you want to go, you need to hop on at least 3 different highways. 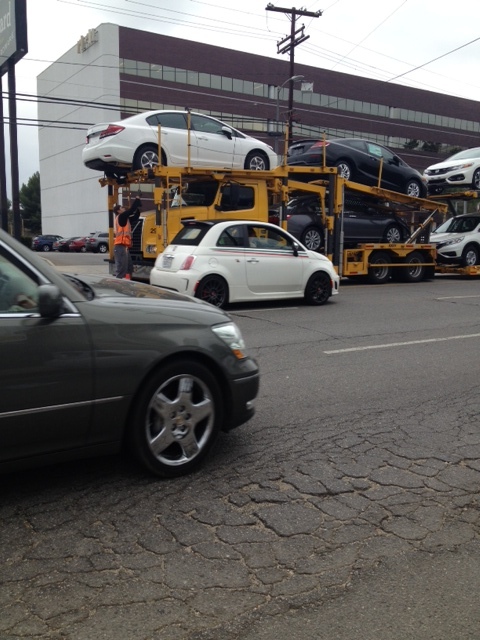 Going to L.A. always grounds me when I return here to Columbus and complain about heading up to Clintonville (6 miles). Community. I wondered when I was there, how one creates community. I know you can create community anywhere but, it’s just so vast. Also, with so many wide, fast streets, I noticed (and you’ll see below in pictures) that so many dwellings a multi-unit. These dwellings are set up in such a way that it’s almost like ‘togetherness’ was the goal NOT to accomplish and ‘isolation’ was the beacon to strive for. Gates and sound barriers; so many of these units have ‘balconies’ however, not one soul enjoyed their balcony when I would observe. Who would? Who would sit out and watch the 50mph traffic speed by? 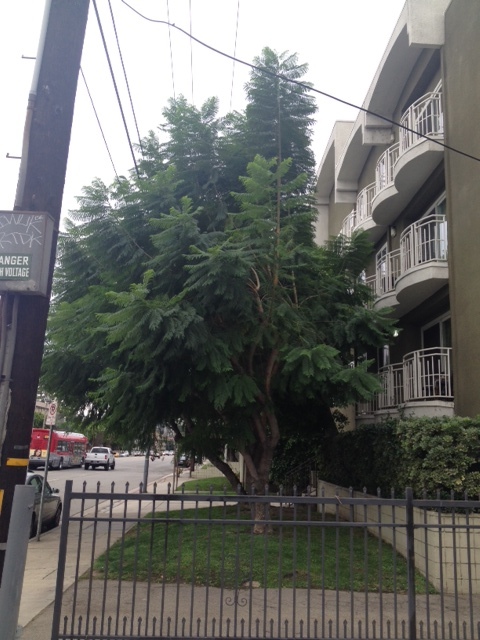 I appreciate all the advocates out there trying to make L.A. a more liveable place. I don’t think I could do it. It’s just too big where I feel I wouldn’t be making a difference. I’ll end on a few positives: my wonderful, beautiful friends whom I love dearly. Strolling through Venice and looking at all the beautiful homes and gardens (which I could do for hours). The ocean that I absolutely adore. Driving PCH as the sun is setting and being witness to that. Finding the most awesome, random, off the path bar in Malibu that will now be mandatory any time I return to L.A. and, the mountains. As an introvert, hiking in complete silence in such gorgeous topography is cathartic. continental crosswalk. loud and clear about pedestrian space. See that dude with the orange vest? 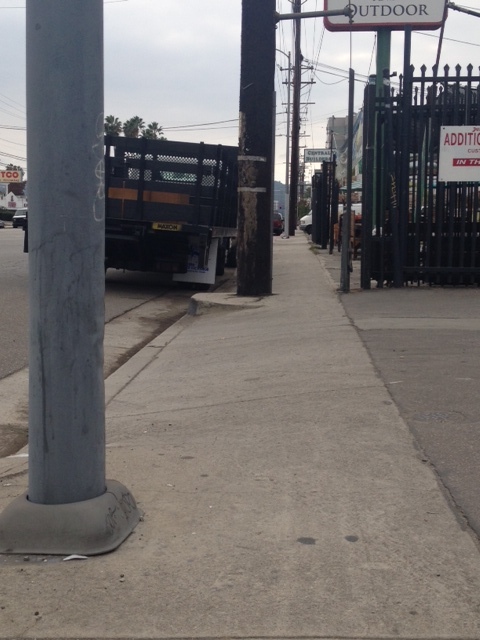 Well, he had to park his truck there to make adjustments and cars paid no mind. Continued to pass him at 45+mph. Many parts of the sidewalks looked like this. This was 5 1/2 feet wide, not enough for two people to walk ‘comfortably’ or for a person in a wheelchair. Also, notice the continued poles?